Vote on J.C.Penney new pricing strategy. Conventional wisdom says that to succeed in the mass retail department store arena, you must agressively promote discounts using a high-low pricing strategy. This led Penney’s to 590 promotions in 2011 so that 73 percent of revenues were at a 50% plus sale discount prices, but customers were only in Penney’s an average of 4 times during the year. Ron Johnson, Penney’s new CEO who led Apple’s entry into retail stores, is out to change all this with vastly simplified pricing. In 2012 J.C. Penney’s has slashed all of its regular line pricing, added month long specials on select goods, and features closeout discounts only on the first and third Friday of each month. Calling this pricing scheme “fair and square” Penney is counting on this simplified structure to differentiate it from the barrage of discounts from the likes of Macy’s and Kohl’s which Penneys feels creates confusion among consumers and discourages purchases as needed in favor of gambling on the next sale. What say you? Are department store buyers ready to for the softer sale of Penney’s fair and square approach? Or do they prefer the aggressive “take an additional 20% off this week end only” used by Penney’s competitors? Just click on the comment section below to vote Yes or No for Penney’s new pricing method. Add any comments that you wish. 5 Responses to Vote on J.C.Penney new pricing strategy. My immediate response is “Yes” and “No” simply because the data isn’t present to, in my mind, have any definitive answer. 1. Have the number of customer visits per year increased, e.g. from 4 to 6 or 8? 2. Are regional product usage trends along with seasonal considerations being factored into sale items? For example, a sale on grits will do better in the South than in the Northeast or clearance sales on shorts might go well in the Fall or sales of wool sweaters will do better in Maine than in Florida. The month long sales have a better chance of catching consumer attention because they last long enough for people to react. I suspect all too often the “If I had only known about the sale” lament can be heard Monday mornings after a weekend sale. In my mind, the change is worth trying but only as long as appropriate data is collected to determine if improvements have actually leaped into practice. Thanks for the comments, Jeff. Yes, “worth trying” is the underlying question. It’s a big bet, and to quote the Yoda. “There is no try. There is only do or do not.” If this doesn’t work for JCP, well the consequences are not good. Hi Art. I agree that the change of direction is a big risk. That’s why they need to be really vigilant in collecting the metrics necessary to assess how well the changes are doing. I know that big honking firms can’t turn ion a dime, generally, but when said turn means the difference between remaining viable or going under, there ought to be incentive enough to get all employees pulling in the same direction. 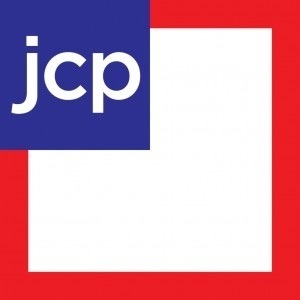 Afterthought, JCP seems to be embracing a definite culture change and doing so the change needs be managed correctly if success is to be achieved. This means they need a transition plan addressing not only what’s changing but also what’s not changing so that employees have some anchors to hold on to in the midst of the change. The plan needs to include team structure, leadership, training, metrics, communications, relationship management, performance management and business and technology integration. All these come together to move JCP from the current state to their desired state. ‘Course, they do need to define what they will look like after the change; the desired state or what they will become after the change. If they don’t manage the changes they wish to adopt, their chance of success will be quite limited. No. I have seen the quality sag at JCP the last few years. Their stores are also not up with the current trends and look tired and dated. I think they’re remodeling some stores, but I think for them to continue and be competitive, going cheaper more often won’t get them the mainstream (and younger) consumers. They need to do something more radical to change their image, not their prices.